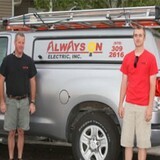 Always On Electric is a locally owned and operated residential electrician that is licensed, insured, and bonded for your protection. Our company offers a variety of services for new construction, remodeling projects and additions to your home. If you are having trouble with your existing home wiring, our highly skilled electricians can quickly find the source of your problems. We can also provide advise on how to get the best performance from your homes electrical systems. 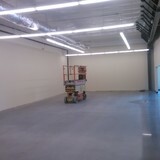 We provide excellent work at affordable prices with professional technicians who work in an orderly and timely manner. We have established an excellent reputation among our customer base and throughout homes and vacation getaways around the area. You can feel confident knowing that our highly trained staff will treat you and your property with the respect and attention to safety you deserve. There are no projects too big or small for us to handle. Contact our office today to receive a free estimate. Serving Western Colorado and Central Arizona, Paul McKee has over 25 years of experience as an electrician. What do licensed Glenwood Springs electricians do? An electrical contractor plans, installs and repairs wiring in structures. He or she works closely with the home’s general contractor or remodeling contractor to determine the specific electrical needs for the project and to ensure that the wiring will meet Glenwood Springs, CO building codes. An electrical contractor’s job also includes installing and repairing fixtures, switches and other visible components of electrical systems. With today’s technological needs and advances, many electricians in Glenwood Springs, CO also are trained to install fiber optic and coaxial cables for electronic equipment. Certain electrical companies may design and install data systems and wire for security features such as alarms too. Some Glenwood Springs electrical contractors specialize in specific areas, such as HVAC, low-voltage appliances and systems and more, so be sure to ask about their training to see if it fits your project needs. 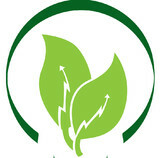 Find a certified Glenwood Springs electrician on Houzz. Narrow your search in the Professionals section of the website to Glenwood Springs, CO electrical contractors. Here are some related professionals and vendors to complement the work of electricians: Lighting Showrooms & Sales, General Contractors, Solar Energy Contractors, Heating & Cooling Sales & Repair.